Screenwriter, film director and comic genius: Garth is the new Dahl. His sweet but sinful monsters will make you laugh like hell. Who needs friends when you’ve got monsters? 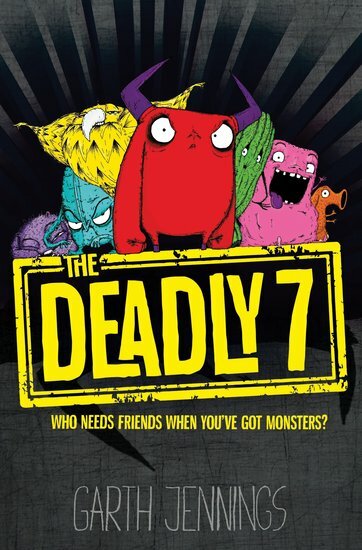 Trouble is, Nelson’s monsters are the seven deadly sins come alive. A secret machine buried in St Paul’s Cathedral has turned his sins into seven hairy critters. Envy, Anger, Gluttony – yup, they’re a charming bunch. They burp and fart and smash things up. Plus, if he’s very naughty, they might eat him. On the other hand, they’re very loyal – they plan to stick around for eternity… Funny, spooky and gross: we predict a monster hit. The writing is seriously good, even if these critters aren’t.